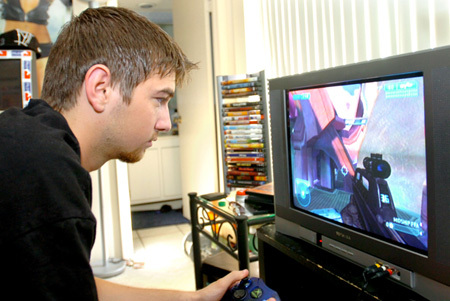 Video game addiction is not something that is taken lightly anymore. Video games are designed to be addictive because that is what sells and makes video game creators wealthy. The level of thought that is put into making games as addictive as possible is astonishing and explains a great deal about our culture’s relationship to video games. Because video games are so overwhelmingly addictive, treatment options have been developed for people to combat their video game addictions in the form of counseling, support groups, self help programs and even rehabilitation. There is no shame in being a video game addict. Obsessing over anything to the point that it becomes problematic for the individual is a real addiction and warrants treatment. Counseling is a viable option for video game addicts. Many addicts take this route to rid themselves of their addiction. Individual counseling is a preferred method of addressing addiction problems to many people because it allows the addict a level of privacy they would not receive in many other treatment settings. Support groups are also proven to be largely effective for video game addicts. Support groups are an excellent way of receiving the care and attention that is needed without the high costs of rehab or private counseling. Support groups are effective through peer interaction, accountability and like-mindedness. Self help is always an option for a mild to moderate addict who has had success in the past with self teaching. There is a vast amount of self-help literature available to struggling addicts. Video gaming is one of the more recent addictions acknowledged by mental health professionals, but there is already a considerable amount of literature printed about it. And lastly, for the video game addict who is seriously losing functionality in their life due to their addiction, rehabilitation is highly recommended. Video game addiction does not pose an immediate threat the way that a meth or heroine addiction does, but it does have the capacity to destroy a person’s life overtime. If you or someone you love is struggling with a video game addiction, see that they receive the level of support they need as soon as possible.